Why Steam Cleaning Better Than Dry Cleaning? Its important to know the difference between natural and synthetic fibers. Most upohlstery is a synthetic fiber made of either polyester or nylon. remove odors from pets or pet urinestains, remove pet hair, and create a healthier enviroment by removing allergens and other. We perform the extraction, which removes all soils, dirt, spots, and cleaning agents using a pH-balancing rinse, mixed with water. Depending on the level of soiling, type of fabric, and humidity, you can expect your upholstery to dry between 1 and 4 hours. 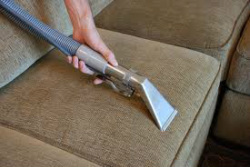 upholstery cleaning upland, upholstery cleaning ontario, upholstery cleaning rancho cucamunga, upholstery cleaning alta loma.